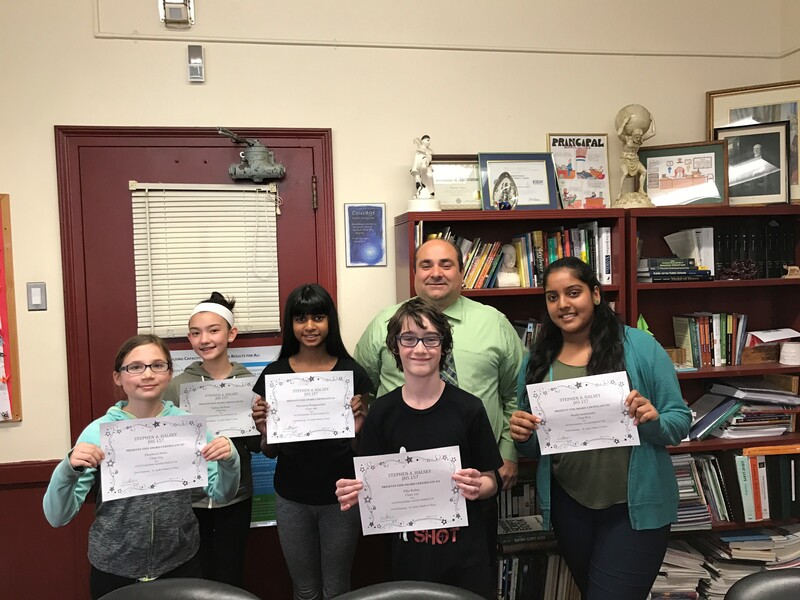 Halsey JHS 157 hosted a St. Jude Math-A-Thon. The students solved math problems and asking for pledges so we can help the kids of St. Jude Children’s Research Hospital. Your fundraising efforts support St. Jude in its lifesaving mission: Finding cures. Saving children. The funds you raise go toward making sure families never receive a bill from St. Jude for treatment, travel, housing or food — because all a family should worry about is helping their child live. This year the St. Jude’s Math-A-Thon was a tremendous success as Halsey JHS 157 raised over $10,000 for this wonderful charity.